This boutique marathon, the fastest marathon course in Western Canada, is the earliest of the three major Saskatchewan marathons. It comprises two distances, marathon and half marathon. Cash prizes are offered for male and female finishers, three deep, in each distance. The event is a fund raiser for the MS Society of Canada. 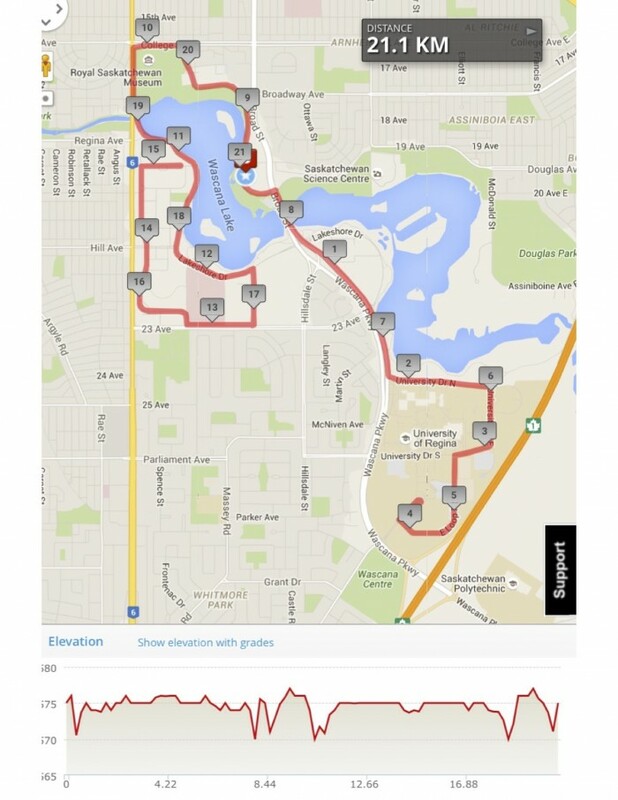 The flat, fast course, laid out through the scenic Wascana Park and University of Regina campus, is a 21.1 km Loop certified by Athletics Canada/Run Canada as accurate according to standards of the Road Running Technical Council. The marathon competitors who meet the Boston qualifying times will be eligible to register for Boston in the following year. This fast, flat course is known for the high percentage of finishers who qualify for Boston. 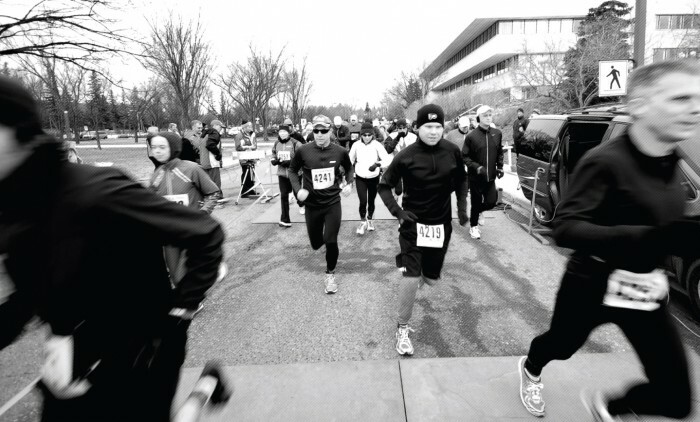 The start is in the Wascana Centre Authority parking lot, 2900 Wascana Drive, Regina, Saskatchewan. Aid stations, located at approximately each 5.5 km on the course, will offer water, Gatorade, and Gu gels. Post race refreshments will be served in the Wascana Centre starting at 8 AM and continuing to 12:30 PM. Indoor toilets will be available in the Wascana Centre at the start, at 8.5 km, 21.1 km, 29.5 km, and at the finish. The course will be closed at 12:00 PM Noon and the official timing will end at the same time. Runners who are still on the course past 12:00 PM will be responsible for their own safety on the paths and sidewalks and the street crossing. Finishing times longer than 5:00 hours will have to be recorded by the runners themselves and will be entered in the results manually if communicated to the race director either verbally at the race finish or by email myodak@gmail.com by 2:00 PM on the race day.